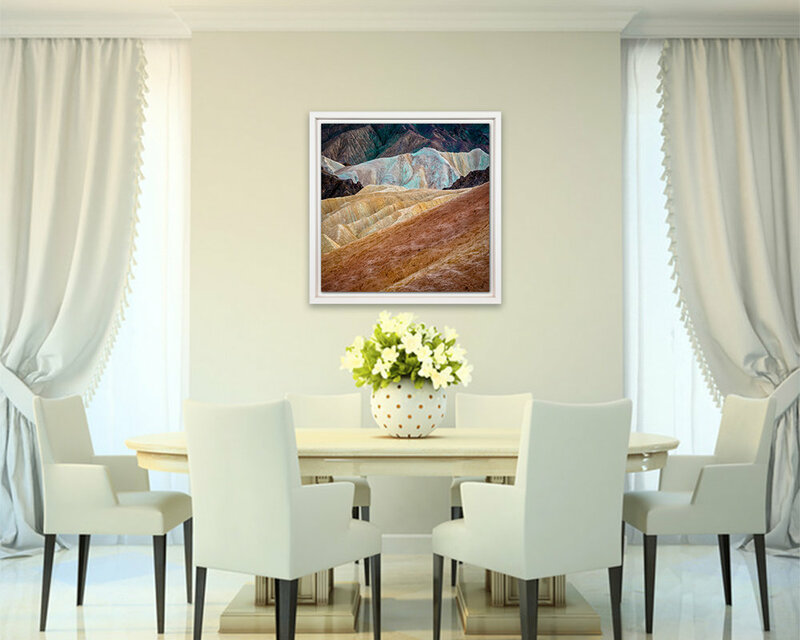 Photographic art can look dazzling in almost any decor, and every framed print purchased from SPR Images will be hand-made from start to finish, delivered ready to hang and enjoy. All prints come with a 30-day 100% satisfaction guarantee. As you go through the galleries and open images in the light box, you'll see that each includes the Title of the image, often a descriptive caption and stock size. Since many of the images on the site have been framed and displayed in galleries, the listed stock size is what I printed and framed it to. But most images can be printed larger or smaller depending on the resolution of the original image. Sizes are listed in terms of frame size, and all image sizes are about 2 inches smaller in both height and width. For detailed information about how the prints and frames are made, be sure to see "About the Images and Prints" under the About tab above. If you're happy with the stock size, please confirm. If not, select the Custom option and tell us what size you would like in the Custom Requests box below. The easiest thing to do is just tell us what you would like the LONG SIDE of the frame to be. Describe the color or finish of the moulding you would prefer. Just enter the best number and time of day to reach you and I will call you within 24 hours. Be sure to ask any questions you have so we can provide answers in the quote! 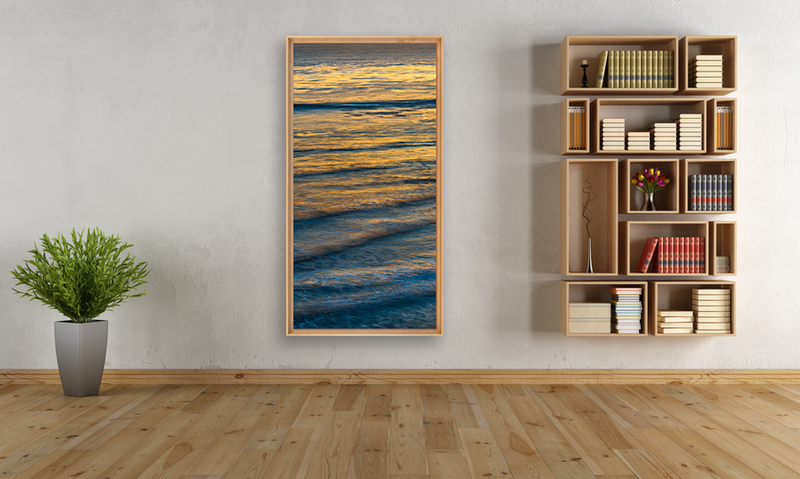 A smaller 16" x 24" image (384 square inches) would cost about $450 ($1.20 per square inch). 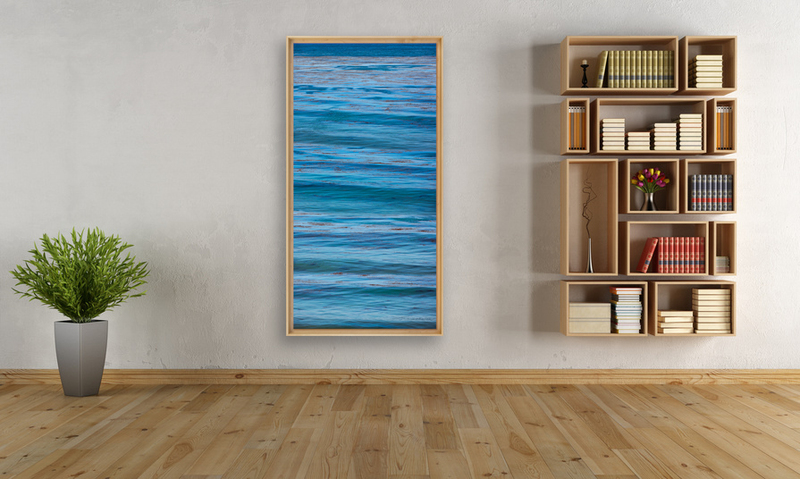 A medium sized 24" x 36" image (864 square inches) would cost about $775 ($ .90 per square inch). 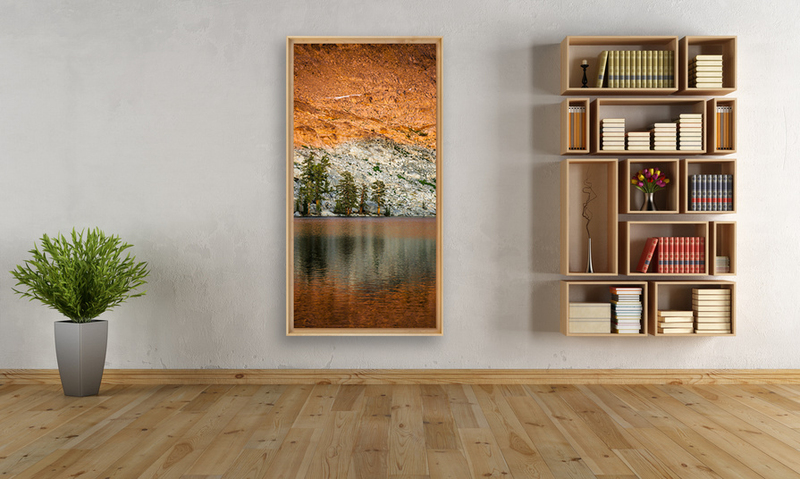 A larger 26" x 72" image (1,872 square inches) would cost about $1,500 ($0.80 per square inch). Specialty images like diptychs and triptychs will cost more because they are much more difficult to assemble. As described below, all purchases are processed through PayPal, a powerful and secure e-commerce provider used by thousands of companies. No credit card data or other customer information is stored at SPR Images. Last, be sure to see the Satisfaction Guarantee below. 1. Select an image: Just scan through the galleries and if you see an image that you like, note the name of the image and stock image size. That's all you need. 2. Fill out a price quote request: Enter your contact information and the image name(s) you are interested in. Then confirm the stock image size or request a different size (larger or smaller). Also specify a moulding finish or request a custom molding. We have access to a large selection from several wholesale suppliers. You can also request an unframed print. 3. Ask any questions you may have: You can ask any questions about how the prints are made, archival characteristics, edition numbers, etc. You can also set up a phone conversation if you would like to talk about the work, materials, pricing, etc. 4. Submit the completed quote request: Once we receive your request we will generate a detailed quote/invoice that will include a thumbnail of your image as well as a detailed breakdown of all costs including shipping and taxes, if any, estimated production and shipping schedule, return and refund policy, etc. 5. Complete your purchase: If you are satisfied with the quote and decide to go ahead with your purchase, you can enter all payment information directly into the quote/invoice itself as the purchase is handled entirely by PayPal and is totally secure. No credit card information is ever stored on our system. As you'll see, we accept all major credit cards as well as PayPal. We stand behind every sale with a 100% customer satisfaction guarantee. If you are not completely satisfied with your print for any reason, just send us a Return Request email within 30 days of receipt of your purchase. We will send you a Return Authorization email with an RA number. Then just return your order to us in the original packaging (with the RA number clearly marked on the outside) and we will happily refund the cost of your print. Refunds do not include return shipping costs. If your print is damaged in shipping we will replace it free of charge. The process is the same as the one described above, but with one small difference because we need to process damaged shipments with UPS (they're insured). So when you send your Return Request email, please send another email (with your original invoice number in the Subject line) to service@sprimages.com and attach two or three photos that show the damage to the print and packaging. Once we receive both emails we will send a Return Authorization email with an RA number. As soon as we receive the damaged print we will send out an identical replacement free of charge.